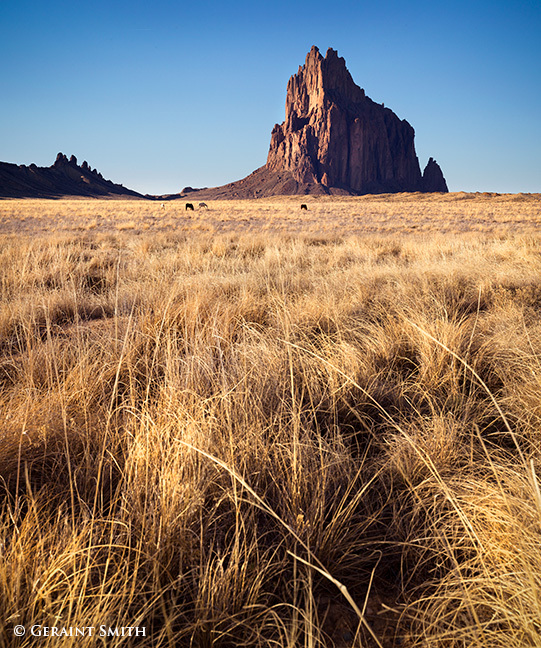 Grasslands at Shiprock. Horses grazing in apparent contentment which reflects my mood and infuses my spirit when I gaze on the monumental formation known as Shiprock ‘sailing’ through the grasses on the Navajo Tribal Reservation in the four corners region of north western New Mexico. 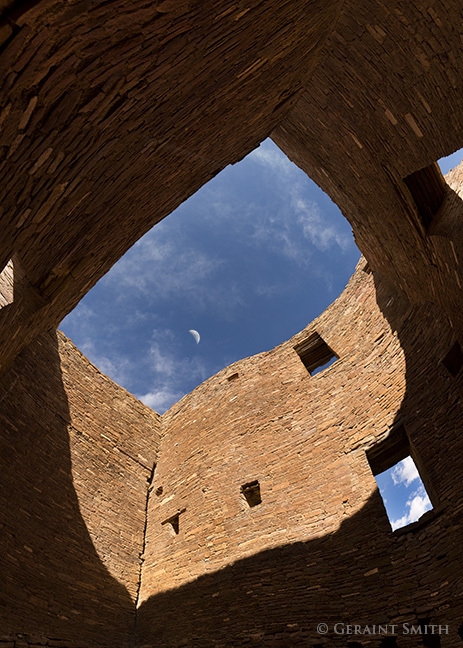 White House Ruin, in the picturesque San Cristobal valley, in northern New Mexico. 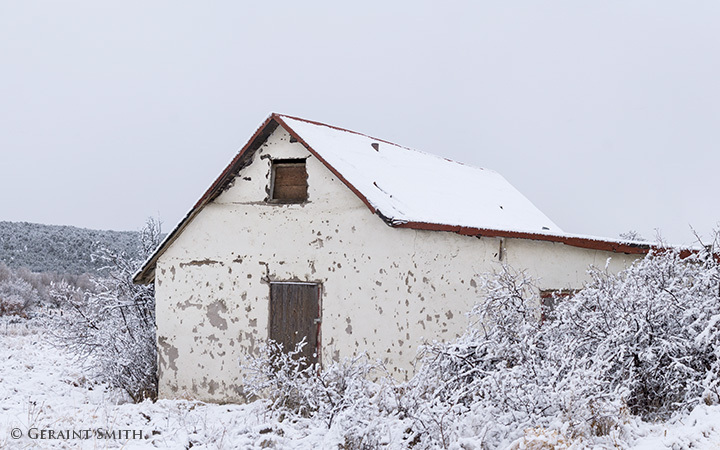 The recent snow blanketed the valley and made this abandoned building look almost homely and inhabited again. All it needed was smoke rising from a stove pipe. 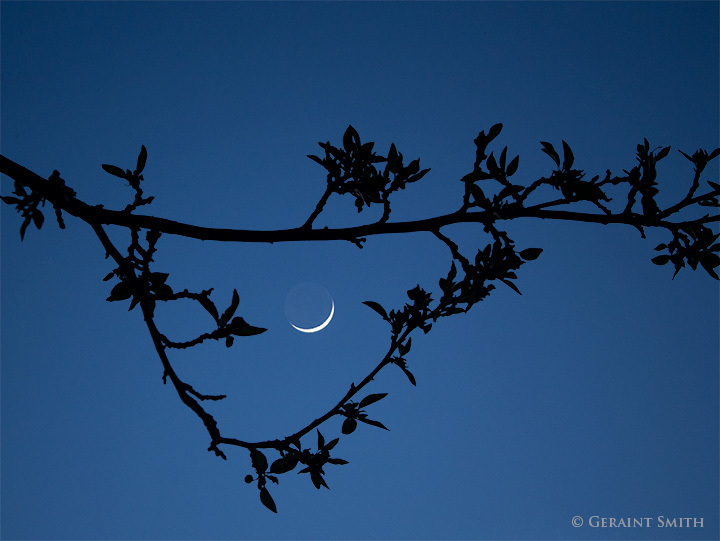 Crescent moon through blossoms. 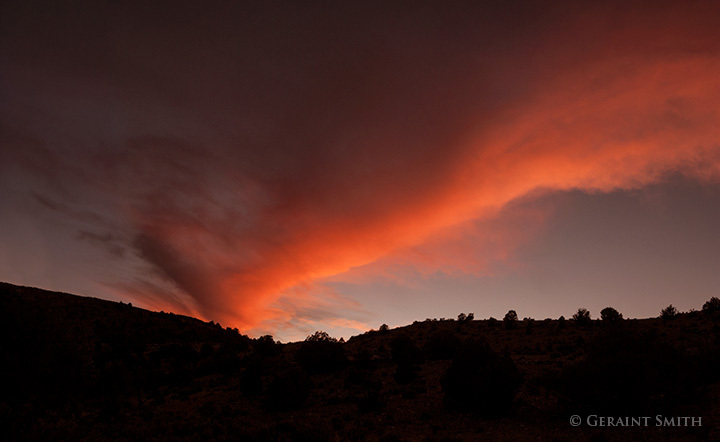 I love to line up the moon through the trees in the garden and watch it set across the Taos Plateau. Tonight was special as the crab apple tree had begun to blossom. What a difference a day makes from the cold rain yesterday. In this image you can see “earthshine” illuminating the rest of the moon that isn’t lit by the sun. Here is an image from May 12, 2009 of the full moon and blossoms. I think with all the warm weather the trees are blooming early this year. Thanks for looking. 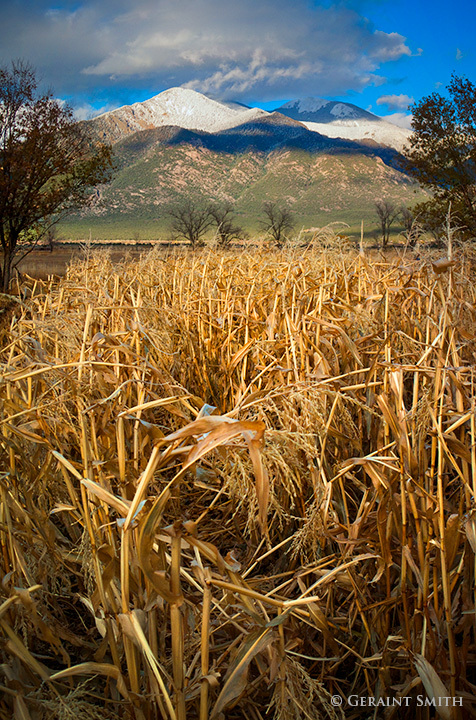 Remnants of a cornfield in the shadow of Taos Mountain. 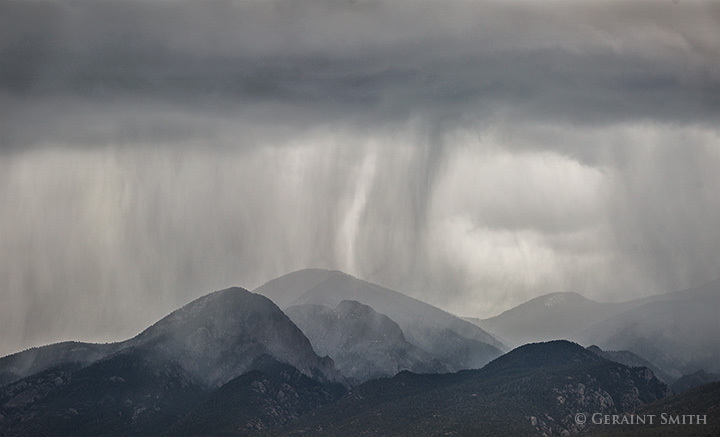 Springtime in the rockies reveals the remnants of past seasons overlaying the new, with a reminder that winter was in there somewhere as the transitory time of renewal. 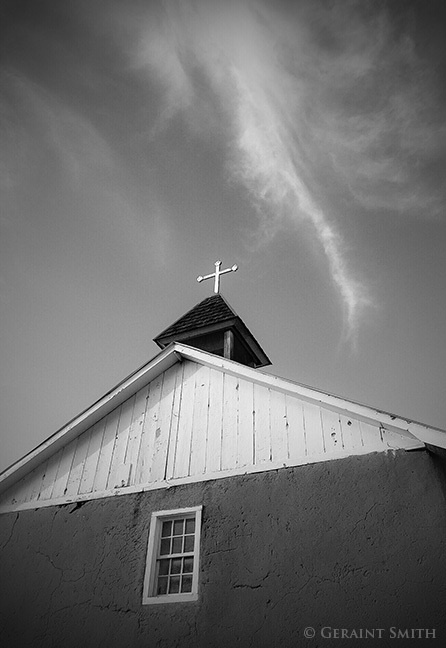 Holy Trinity Church – Iglesia La Santísima Trinidad – Church of the Most Holy Trinity Arroyo Seco, NM, USA. 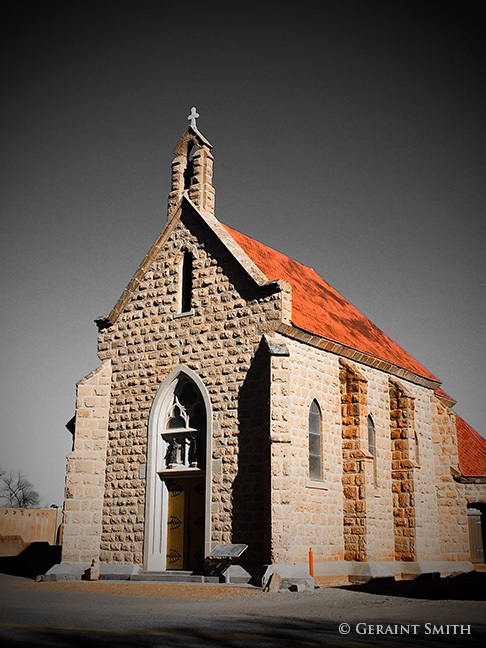 This church is a beautiful example of one of the finest New Mexico’s churches. I’ve photographed it many times over the years. Here is one image I made in 2007. Shrine of Our Lady of Lourdes , San Juan Parish, Ohkay Owingeh Pueblo, New Mexico. I like the crispness of this image made on an iPhone 6s. 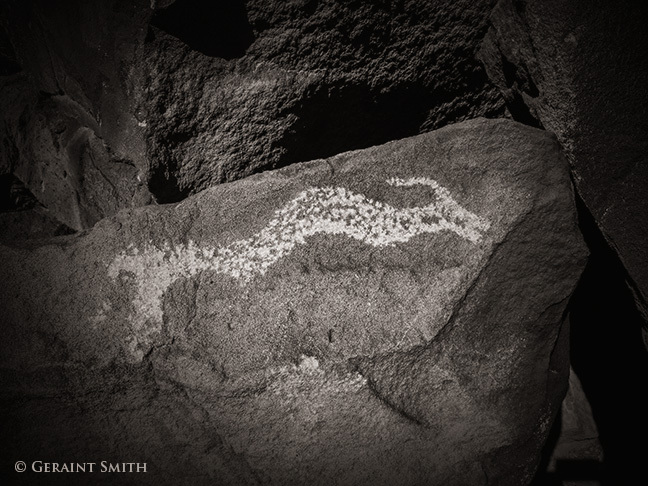 Avanyu, sea serpent petroglyph along the Rio Grande. Revisited this a few weeks ago and I still get a thrill every time I see it. 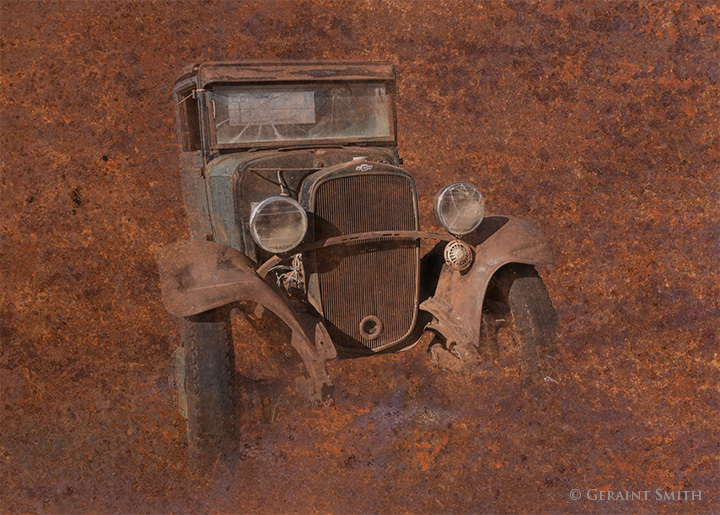 Here’s the color image from 2012 which appears in my last book, Rio Grande del Norte: An Intimate Portrait. 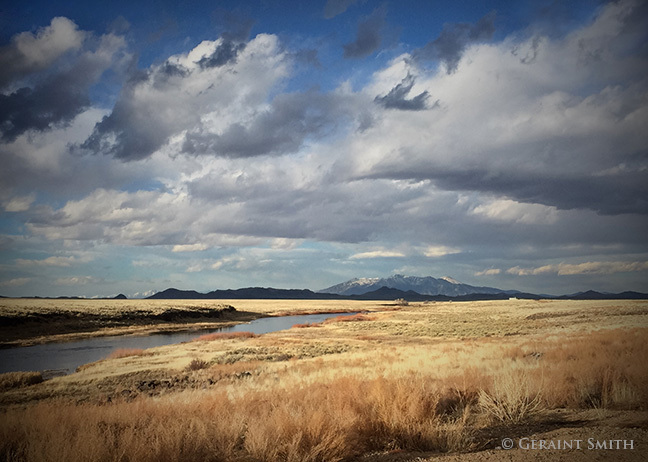 From the northern Rio Grande with a view of Blanca Peak Range in the southern Rockies, Colorado. 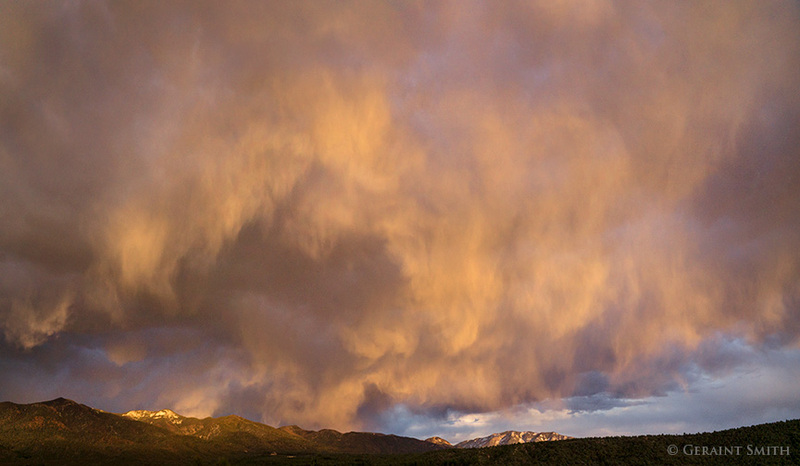 A little color over the Sangre de Cristo foothills this evening from the valley here in the village San Cristobal, northern New Mexico. 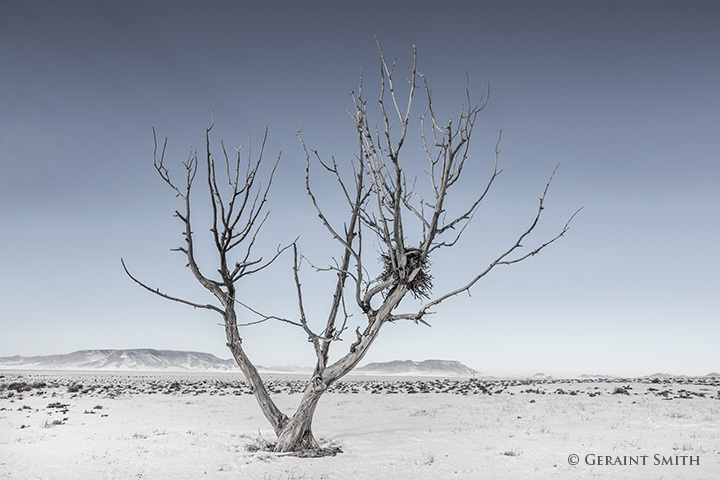 Raptor Nest In The San Luis Valley, Colorado. 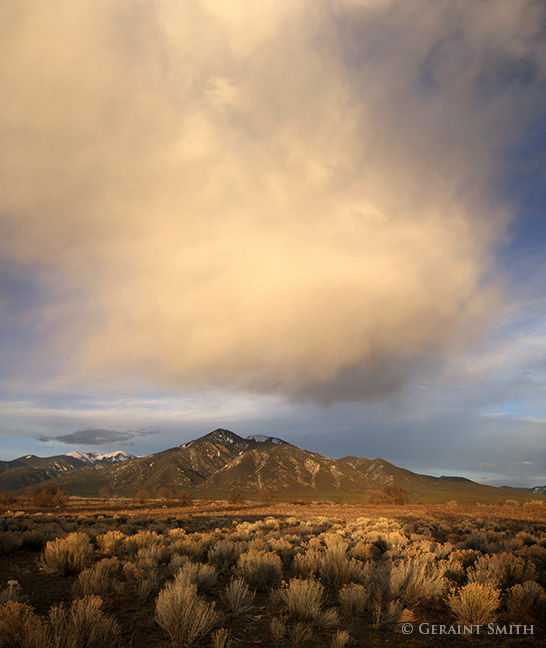 Raptor nest in the San Luis Valley, Colorado. Although this tree has fallen and the nest is close to the ground, from time to time, I come across images that remind me of what a great location this is. Over the many years that I’ve conducted photo tours in this area my guests really respond to it’s location, it’s serenity and vastness. Here is another view of the nest on a winters night when we made a trip there under the full moon.